Cut determines how much sparkle and fire a diamond has. At C.W. Smith Jewelers, cut is #1. We are rigid in the cuts we select, and only the finest make it into our store. We see hundreds of diamonds that have dimensions that look great, but have little fire and scintillation when we examine them. We never grade cut solely by percentages, angles and millimeters, but also by using our experience and trained eye. Our strict, hands-on grading screens out the poorly cut diamonds. We'll leave those for the other stores. Our customers tell us they get compliments on how “bright” and “sparkly” their diamonds are. That’s no surprise to us. Some jewelers say cut is the ONLY important factor, and they minimize the importance of color and clarity. 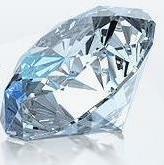 They are trying to sell you an inferior diamond that costs them less because it has poor color, poor clarity, or both. A fantastic, bright, brilliant cut is paramount, but it doesn’t need to be at the expense of great color and clarity. A chain is only as strong as its weakest link. We will show you diamonds that not only have ideal cuts but are also high in color and clarity. We won't ask you to compromise. Copyright 2006 - 2019 C. W. Smith Jewelers, Inc. All rights reserved.